This is the super-effective formula for foreign accent reduction and native-like English pronunciation acquisition. You may take accent reduction classes from a very reputable speech therapist and pay $70 per session, but you’ll still be following the same exact formula: listen – repeat – adjust – listen – repeat – adjust. The point I’m trying to make here is that the “ADJUST” stage is always done by you. Is your speech therapist getting into your mouth and pulling on your cheek muscles and lips and making you sound different? Of course he isn’t! At the end of the day it’s always YOU who adjusts your speech and tries to pronounce this or that particular English sound a little bit differently to match the original English sound. So, tell me now how is adjusting your own speech under the supervision of another person any different from the job you’d be doing on your own? You have to admit that the only difference is in the specialist telling you HOW you should pronounce the English word or sentence, and which sounds you should FOCUS upon, that’s all! And you believe you can’t possibly pull it off all by yourself? 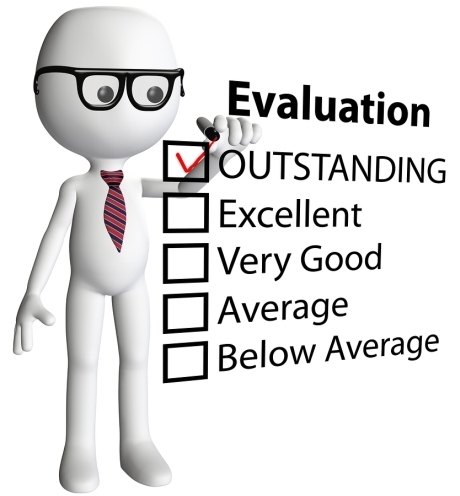 You believe you’re unable to compare what you just said during your accent practice session and decide which aspects of your speech require a little bit more work? Give Yourself Some Credit, My Dear Non-native English Speaker! If you really believe you just don’t have a good ear for pronunciation or you’re not smart enough to figure out how you have to pronounce American or British English sounds, then you’re really selling yourself short. Find good advice on WHAT you have to focus upon when trying to imitate native English speakers! The first part – overcoming your fear of sounding stupid – is easy AND hard at the same time. You can keep getting embarrassed of sounding different for the rest of your life, or you can make the simple decision to ignore others’ opinion and do it just as easily. Record Your Speech & Compare It With Native Pronunciation! While there’s a certain degree of truth in saying it’s not that easy to judge your own speech right as you speak, nowadays it’s not really an excuse anymore. Anybody has access to some voice recording device, even the cheapest cellphones come with built-in voice recorders and all you have to do is press the record button and start speaking! Repeat the whole process all over and over again! Your Decision-Making Needn’t Be Too Complicated! You’re not going to get it JUST right in the early stages of your pronunciation practice, so once you’re happy with the way you sound pronouncing a specific sentence – move onto the next one. 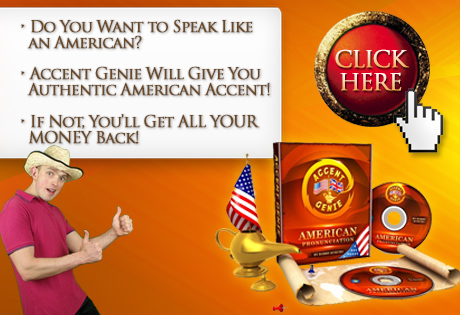 If you get too hung up on getting an individual word or a sound JUST RIGHT, you’ll never develop your ability to speak with your target American or British accent fluently simply because you’ll find it an impossible task. If you believe you’re not smart enough to make the call and decide when you pronounce that word or a sentence correctly, it would be the same as saying you can’t compare geometric shapes and decide which triangles look similar and which don’t, for example. If you pronounce the word “family” quite close to the target American pronunciation FEMILY, you’re fine! If you pronounce “years” in British English as YEEZ and you think you sound OK – move onto the next word or sentence! Don’t wait for someone to tell you: “Yes, now you repeated it JUST RIGHT!” because it will most likely never happen! The chances are, you’re just going to put off your accent reduction for an unknown period of time, and even if you get some feedback from a native English speaker, there’s not going to be any magic involved in their feedback anyway. Just because you’re listened to by a native English speaker, doesn’t mean they’ll make you speak better! It’s still down to you to work on your English pronunciation, and as far as your ability to compare your own speech with the original goes – well, any human being has that ability for as long as they’re told what exactly they have to watch out for (in this case – which sounds you have to focus upon)! Next post: Asking Readers: Do You Want Me to Go Back to British English? Previous post: Learn American Pronunciation by Shadowing Movies on Netflix.com!